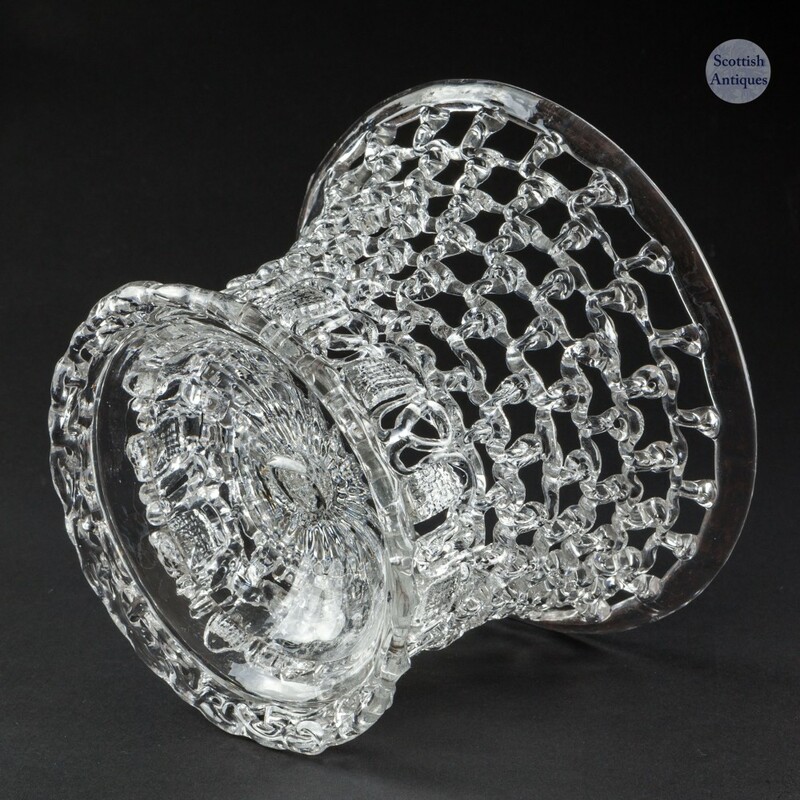 Bowl : Flared bucket, strands of glass form a lattice around a solid base. The presence of lead oxide does guarantee that these were made in the England. 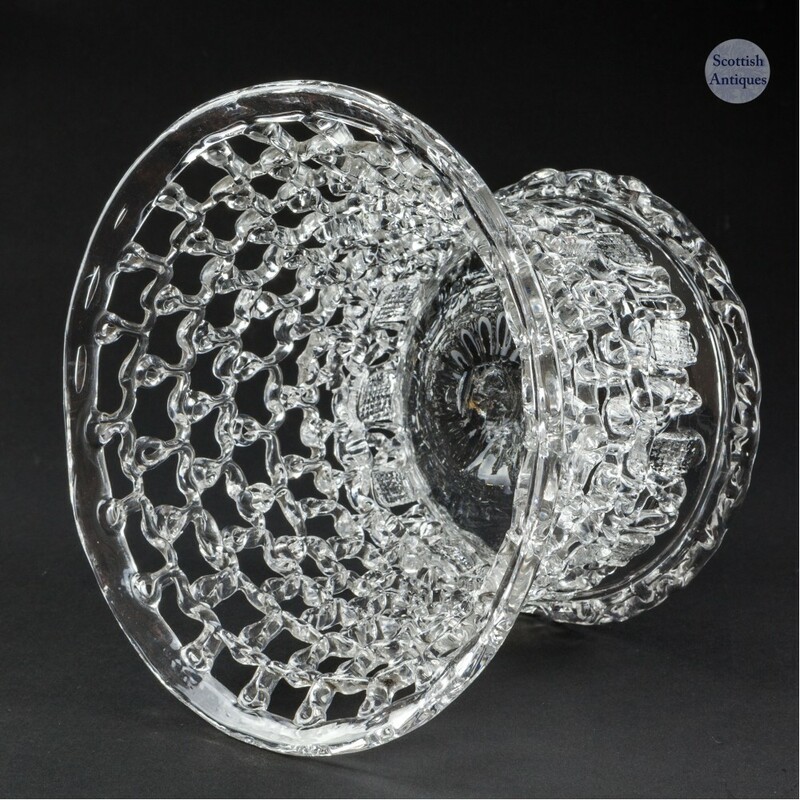 The moulded pattern on the base is unlike any of the soda glass examples that we have sold previously and the vermifom decoration around the base has not been seen before. 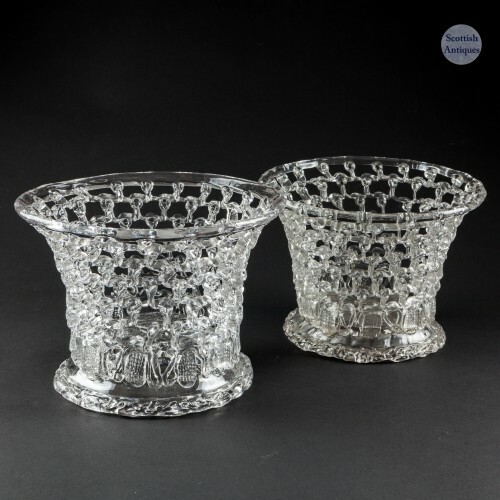 These do not have handles, unlike the Liege examples. We believe that they were most probably made in Bristol on balance of probabilities. Known as "traforato" (perforated in Italian) this type of basket was made throughout northern Europe (most notably Liege) but these examples are most likely from Bristol. 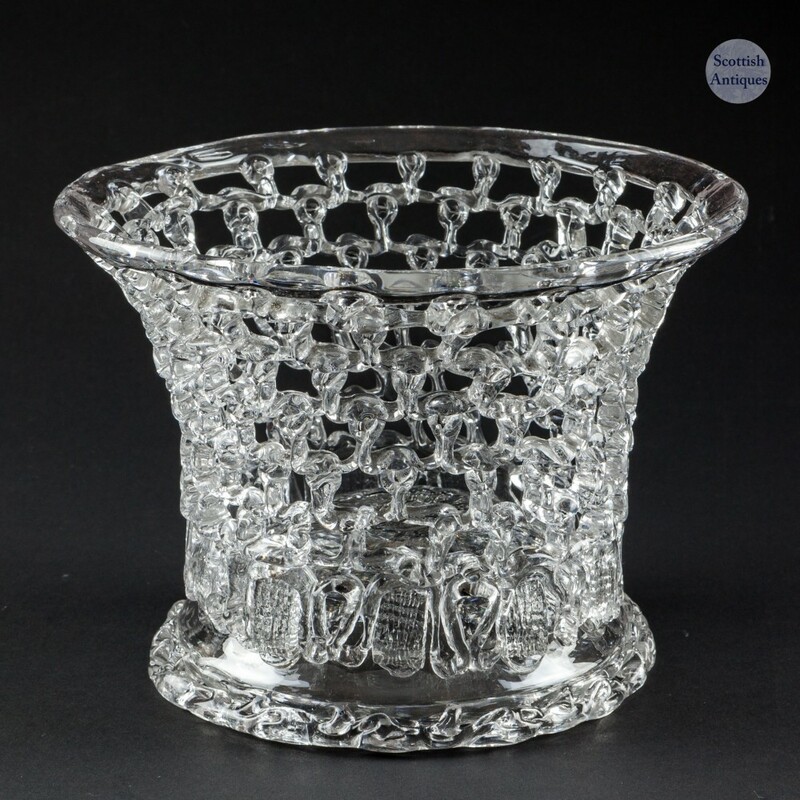 There are multiple examples on the Corning Museum's website under "glass basket"